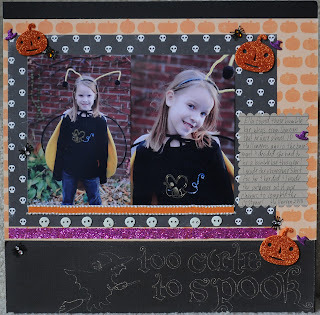 I love the too cute to spook title for those kids that dress up for Halloween in their cute outfits! 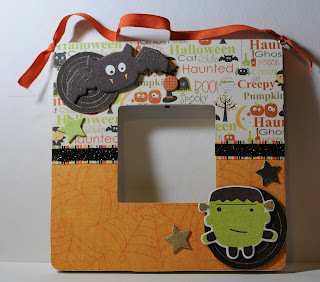 That way you can still use the Halloween colors and get away with it! I used the Chomas Creations engraving tip for the Cricut with the Core'dinations cardstock to etch the title into this page. 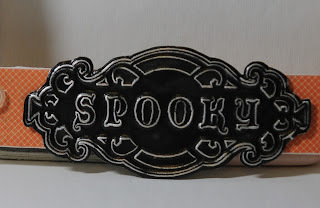 After you etch the design, lightly sand it to really make it show! 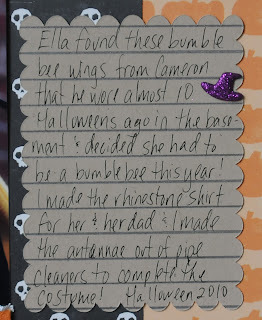 I used the Chomas Creations mini gel pen holder for the journaling lines. The papers are Echo Park and all the extra goodies are Making Memories. I did make my daugther's shirt with a rhinestone template from Silhouette Studio, and heat set rhinestones! Isn't it cute? 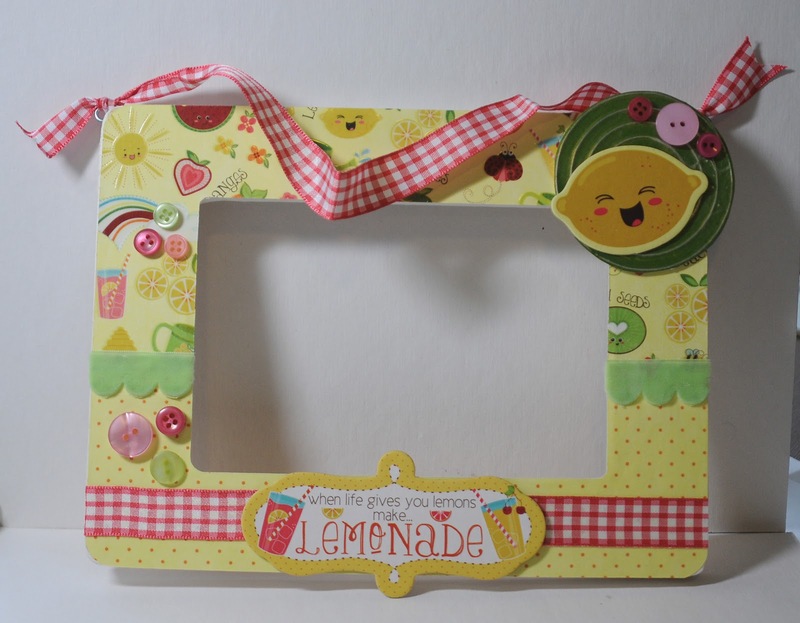 More frames for the craft show I'm going to be doing. 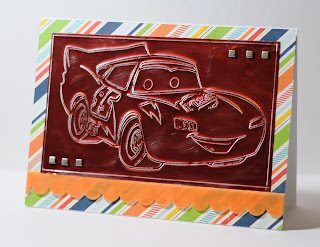 I used the Chomas Creations embossing kit to emboss the circle designs behind the cars on this one. 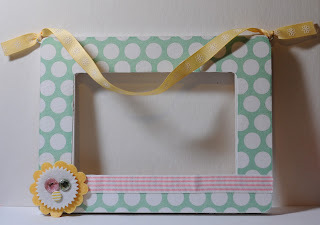 I love the way that a simple circle can make anything pop of your frame, or page! I'm sure you see circles often on my projects! 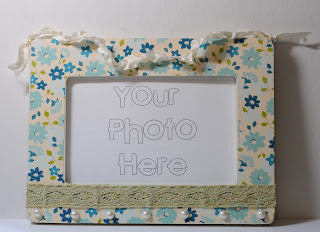 I've been sealing all my frames with Mod Podge matte to protect them, and I wanted to see what happened when I went over the metal with the Mod Podge. Well as you can see it shined it right up! It was a bit dull after sanding. The papers and stickers are all Echo Park. 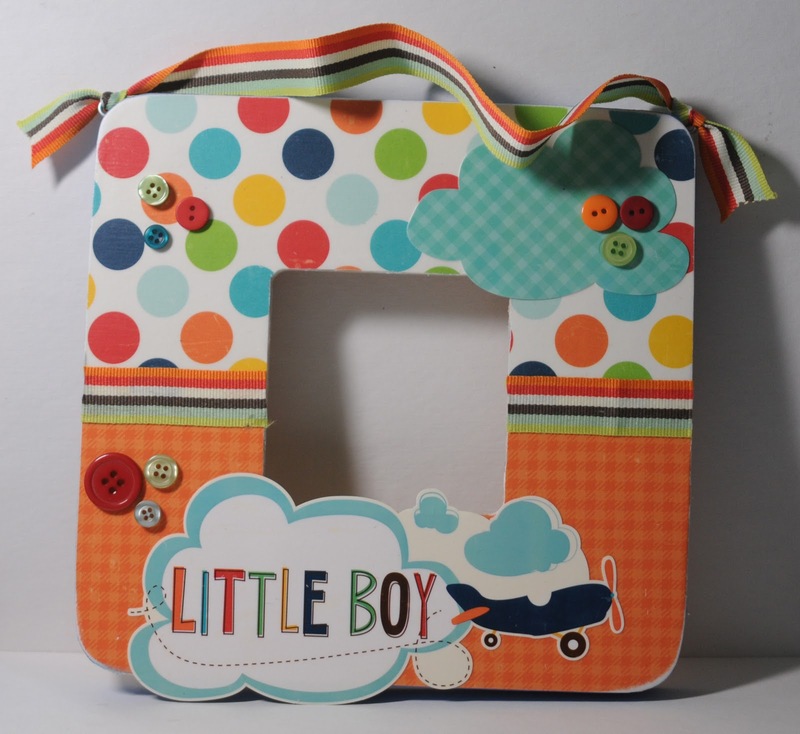 Another boy frame that I thought I would share! Chomas Creations mini Sharpie holder and vinyl! Eeeek! 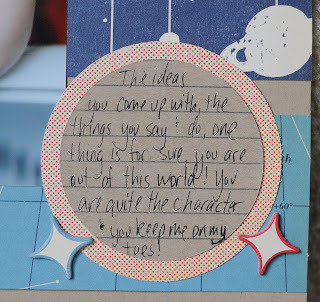 I almost forgot the winner of the Disney/Pixar blog hop! Thank you for all the kind comments, and taking the time to let me know where you found out about Chomas Creations! Ok, so I will admit I was excited about this idea, but not as excited as my daughter when she saw it! I'm trying to get her to sort toys by matching bins, and of course I could just label them, but I thought, how cute would it be to use the actual logo from the toys? And I've been on a vinyl kick lately, so I used google to search for each logo, then traced them in Make-the-Cut. There were a lot more details to some of these designs then I thought, so I figured, why not draw those details with the Chomas Creations mini Sharpie holders instead? When she saw them, she immediately told me she needed more for the rest of her toys, but this was a good start! I added the Ten Second Studios metal sheet colored side down on the embossing mat, then embossed and sanded the raised surface. The papers and chipboard stickers are all Imaginesce. So are you getting sick of these frames I'm making yet? hehe! There are still more to come, but I promise to add in some cards and scrapbook pages in between them. And the sale is still going on in the Chomas Creations store for 10% off your entire purchase! Just enter the code mycutsearch10 at checkout! Another Halloween frame for the craft show I'm going to do. The spooky title was done with the Chomas Creations embossing kit for the Criuct and the Happy Haunting cartridge. I flipped my Ten Second Studios metal sheet face down and then embossed, and then sanded the raised image. Don't forget to flip your image before you emboss if you plan on using the raised image, as it will be backwards if you don't. The papers & embellies are all Making Memories. 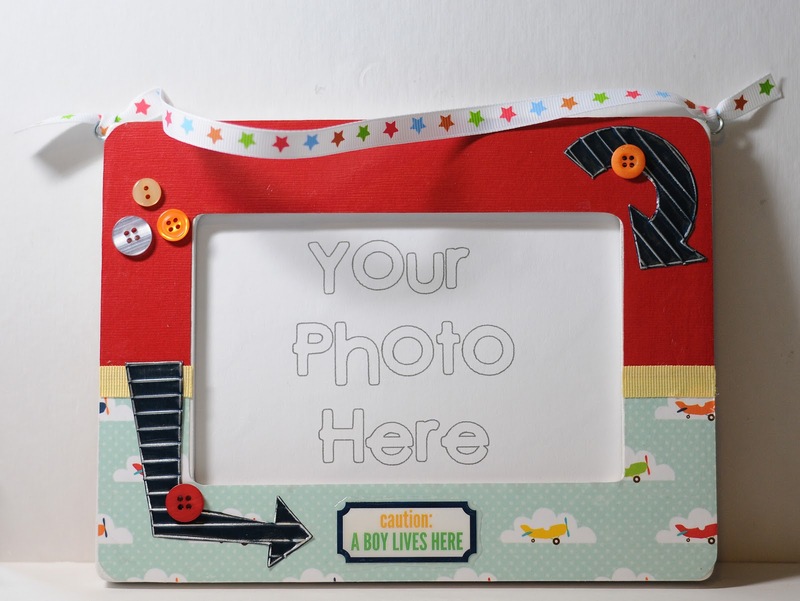 **Sorry to disappoint today, but none of the Chomas Creations products went into the production of this frame! hehe! But I wanted to share it anyways, cause I thought it turned out super cute! The fabric paper and flower are both American Crafts. 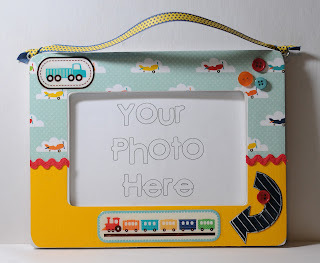 Check out yesterday's post for a chance to win a Chomas Creations mini gel pen holder and pens! And while you are there, you can check out the Disney/Pixar blog hop. Also used the coupon code mycutsearch10 at checkout at the Chomas Creation's store for 10% off your entire purchase! 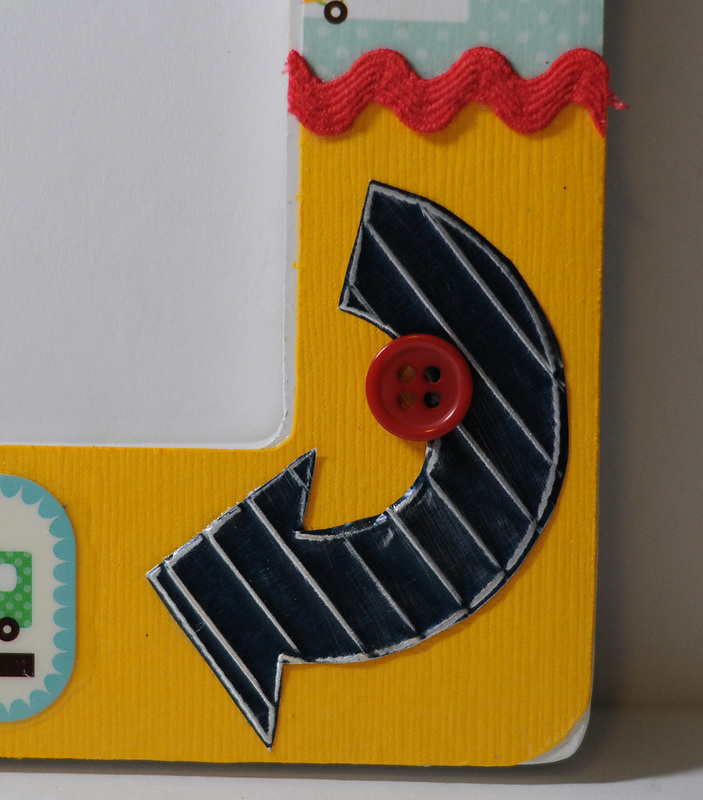 Welcome to the Disney/Pixar blog hop! 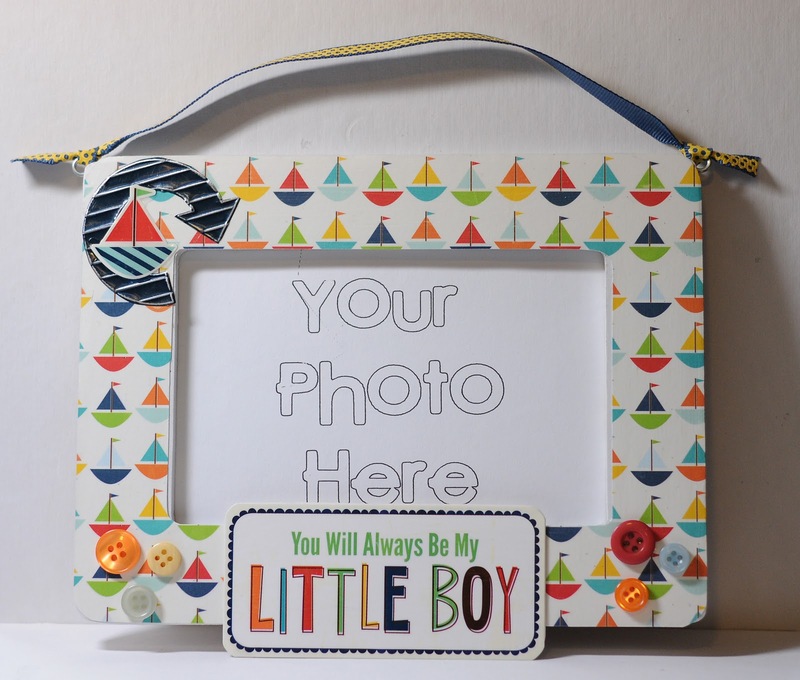 If you have come from Diane at Capadia Designs you are in the right spot! 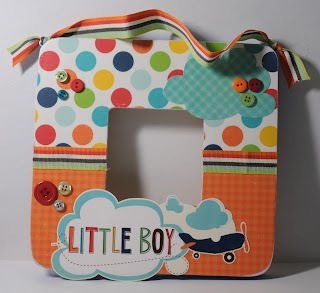 If you just happened to visit my blog today and want to start at the beginning of the hop, head on over to Shawn's blog at Crafty Chic's Blog. 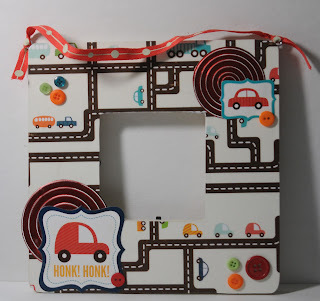 As a special part of the hop, I'm offering a 10% sale off your entire purchase at the Chomas Creations store! Just enter the code mycutsearch10 at checkout! Save on the Chomas Creations mini gel pen holders, mini gel pens, mini Sharpie holders, embossing kits, engraving tips and more! 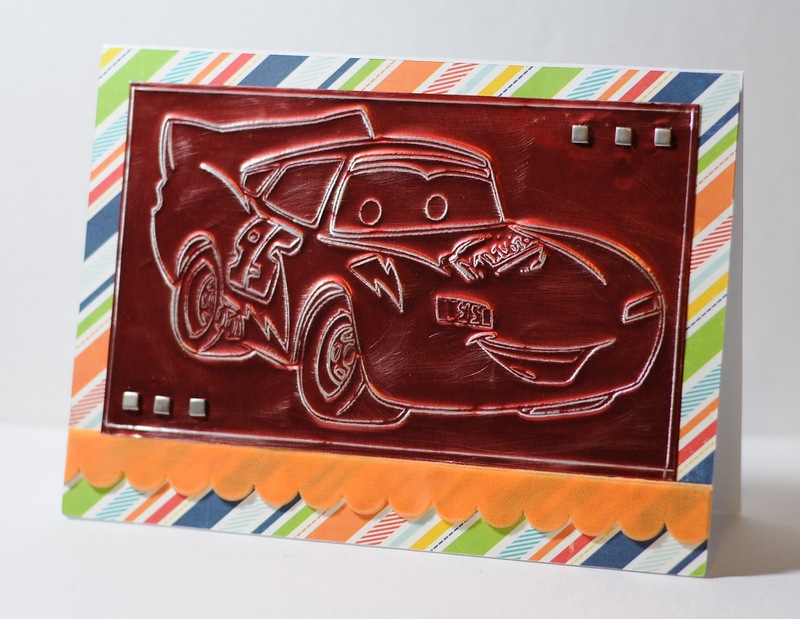 My nephew just loves the movie Cars, so I knew I had to make him a card for his birthday with Lightning McQueen. I used Make-the-Cut's trace feature to trace a coloring page I downloaded from the internet, then used the Chomas Creations embossing kit to emboss the design on a metal sheet. 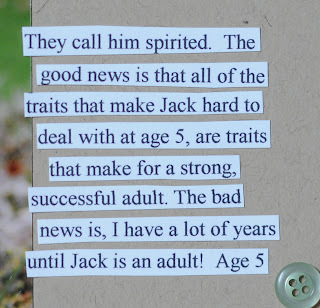 I can't wait to see how excited he is to get this card! I'm also trying to use up some of my stash, so I added some square brads I've had around forever as well! The paper is Echo Park. Now for a give away!!! I'm going to do something a little different this time around, as I really just want to know! Answer this question in your reply... Before today, had you heard of the Chomas Creation's line? If yes, do you remember where you heard about it? If no, feel free to tell me what you think! 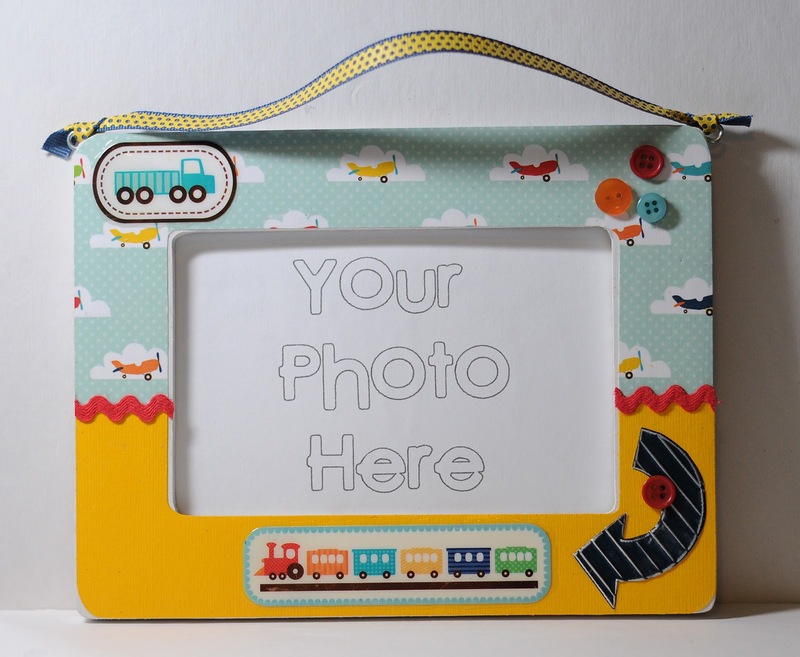 You don't have to follow my blog to win, but why not? 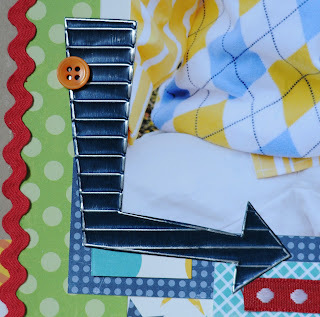 I add tons of ideas weekly! If you take the time to answer my questions, you have a chance to win a Chomas Creations mini gel pen holder for either the Cricut or Silhouette and a 10 pack of mini gel pens in glitter or assorted. One chance per person, and you have to leave me a way to get a hold of you! I will add the winner to my blog Monday, and contact you if you leave contact info. You have one week to get back to me with your info! Also don't forget to use the coupon code mycutsearch10 at checkout to save 10% off the entire Chomas Creations line! Also start at Crafty Chic's blog tomorrow for another line up in the Disney/Pixar blog hop with even more projects to check out! In case you get lost along the hop, here is the line up!! First, I want to say stop by tomorrow as I'm part of the Disney/Pixar blog hop!!! Now... Ok, I don't know if I'm going to be able to part with this frame! I am loving it for Halloween hehe! 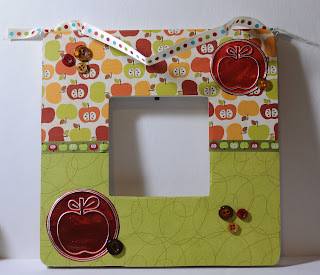 I used the Chomas Creations engraving tip for the Cricut to do the circle designs.. 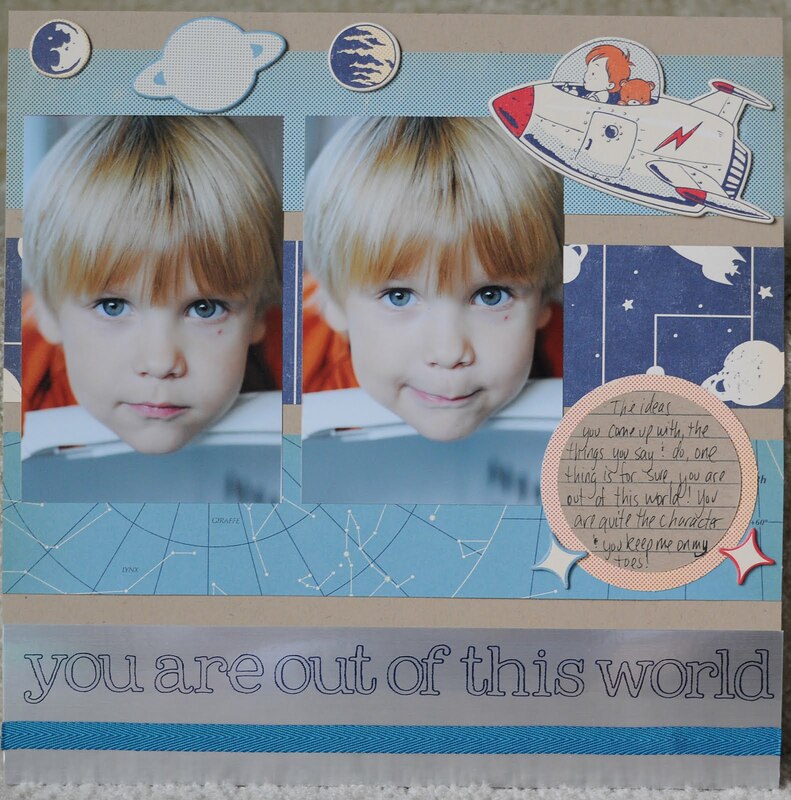 I simply layered the circles in Design Studio with George then etched them onto Core'dinations cardstock, then lightly sanded them. Don't forget there is a sale at the Chomas Creations store! Enter the code ella7 at checkout for 10% off your entire order! I was so lucky to have a friend come over and do some "craft talk" last night! We were working on frames for a craft show we are doing together. She got 10 started (we are going to embellish today) and I got 9 started, that is quite an accomplishment when you think of what happens when you get together with friends to do crafty stuff! 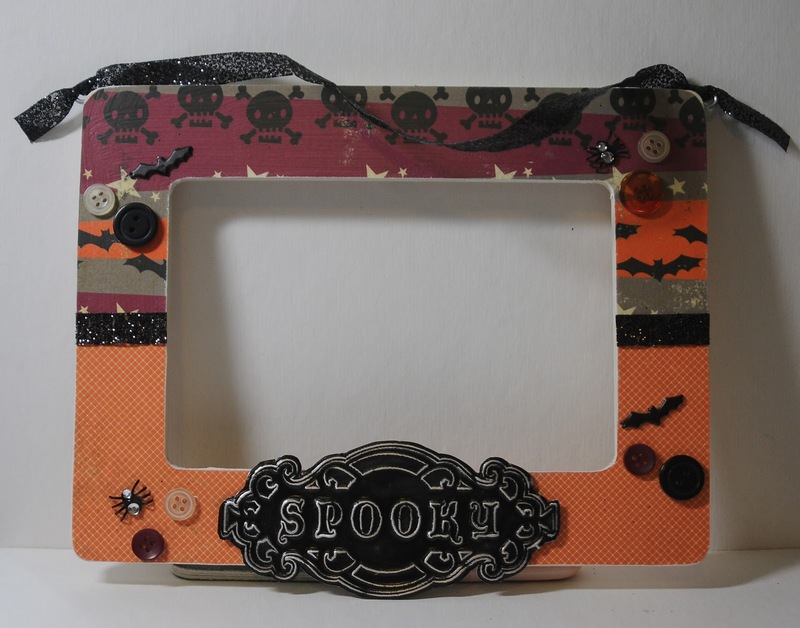 Here is one of the frames I did last night! 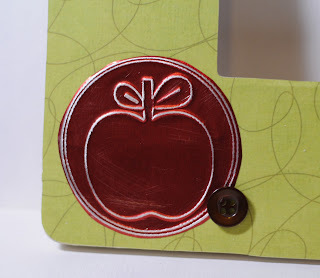 I used the Chomas Creations embossing kit for the Cricut with Create a Critter to emboss the apples. People often ask me about the Chomas Creations embossing kit, and what to do with an image you emboss. 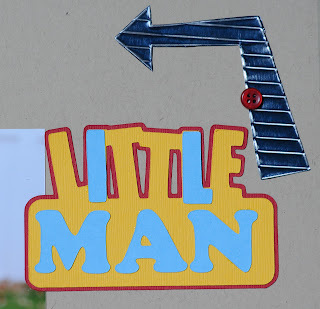 This is my favorite thing to do, put a circle or 2 around the image, then cut around it. Any pair of scissors will easily cut through the metal sheets, and it even sharpens your scissors in the process! 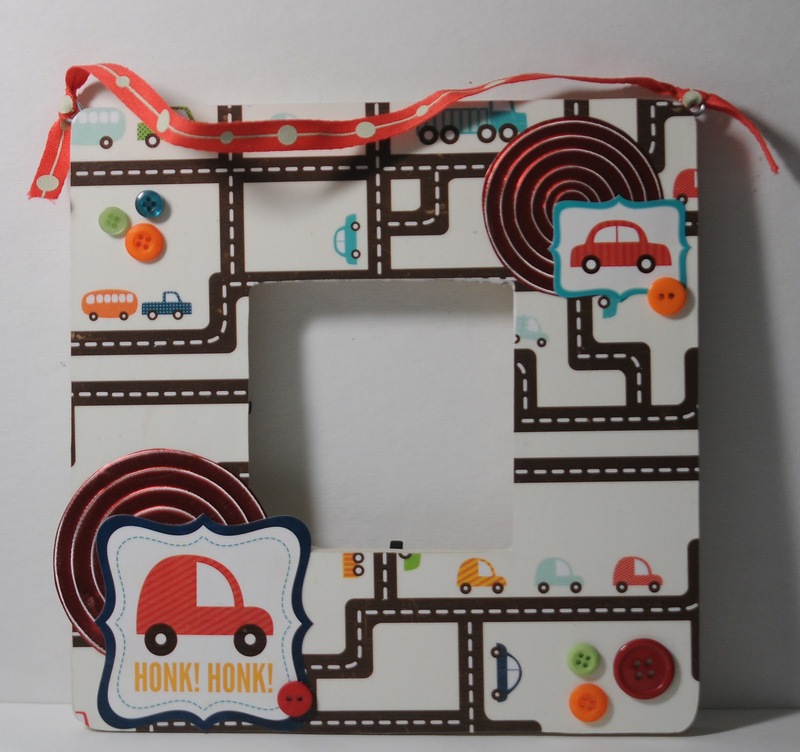 I also add squares, or ovals around my images, or cut around the image as a silhouette if it isn't too fancy. The possibilities are endless! The papers and ribbon are all Imaginesce. I have a lot more to share with you as these get done! 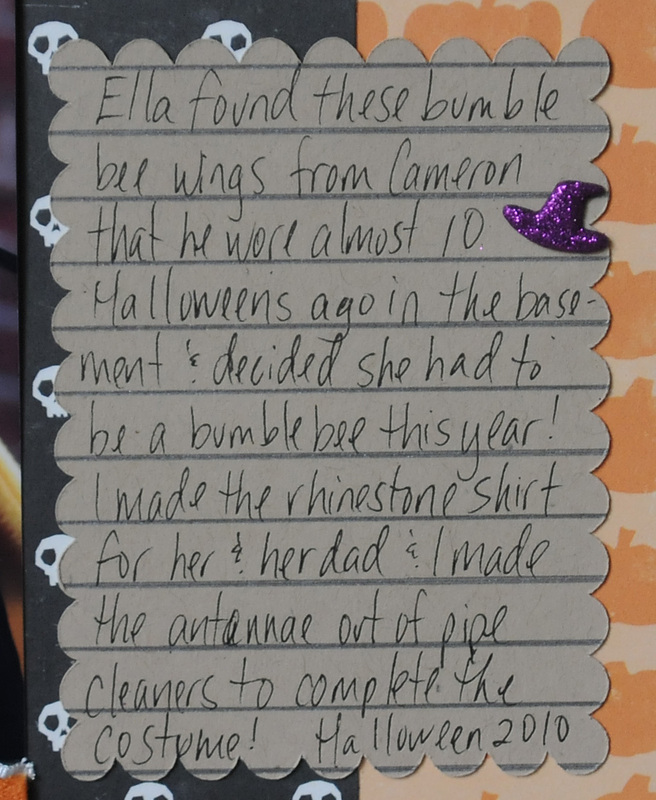 And don't forget to use the coupon code ella7 at checkout to save 10% off your entire order at Chomas Creations! 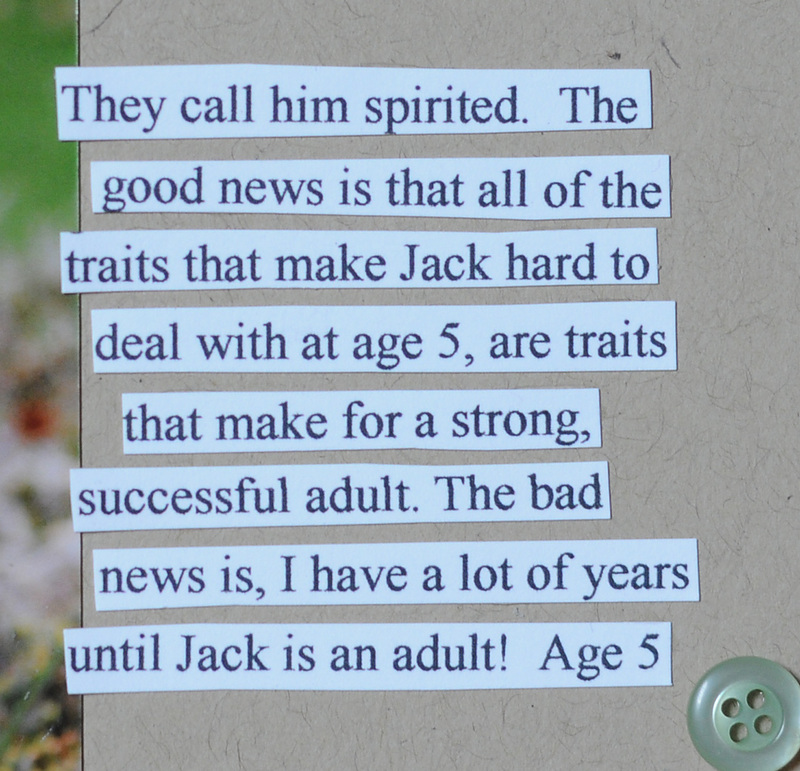 Some of you may know that my youngest is a handful! 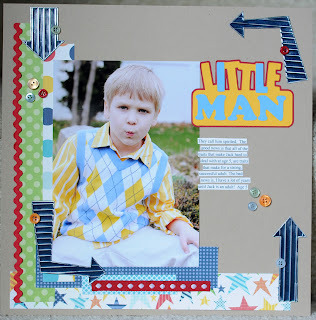 Or you may have figured it out from some of the layouts I've done about him, hehe! Well here is another example, I was trying to get some photos of him on his 5th birthday, and can you believe this is the best one I got? Well I can believe it! Also don't forget I still have a sale in the Chomas Creations store! Save 10% off your entire order at checkout using the coupon code ella7 ! 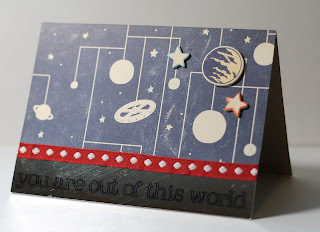 I used the Chomas Creations embossing kit on Ten Second Studio's metal sheets. If you put the colored side of the metal sheet down on the mat, when you flip them over you can sand the raised image to get this look. I used Boys Will Be Boys for the title as well. Here is the finished page with my spirited, yet handsome son! I have a friend that is going through a bit of a rough patch, so I wanted a bright, cheery card to make her day! 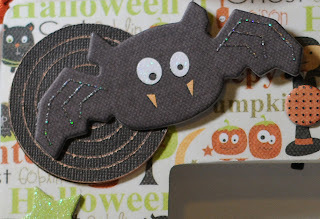 I used the Chomas Creations embossing kit on a vellum sheet (I picked up a 40 pack of 12x12 sheets at Michaels for under $10 with a coupon!). The flowers are from Lettering Delights, I used Make-the-Cut, loving that they have Lettering Delights hooked up to them now, I would have never thought of these flowers! 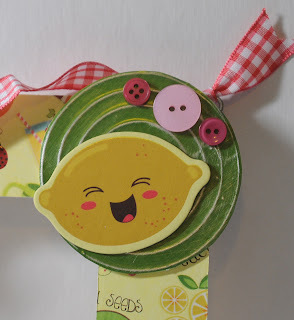 The sentiment stamp is from K Andrew designs and is the Positive Thoughts stamp set. 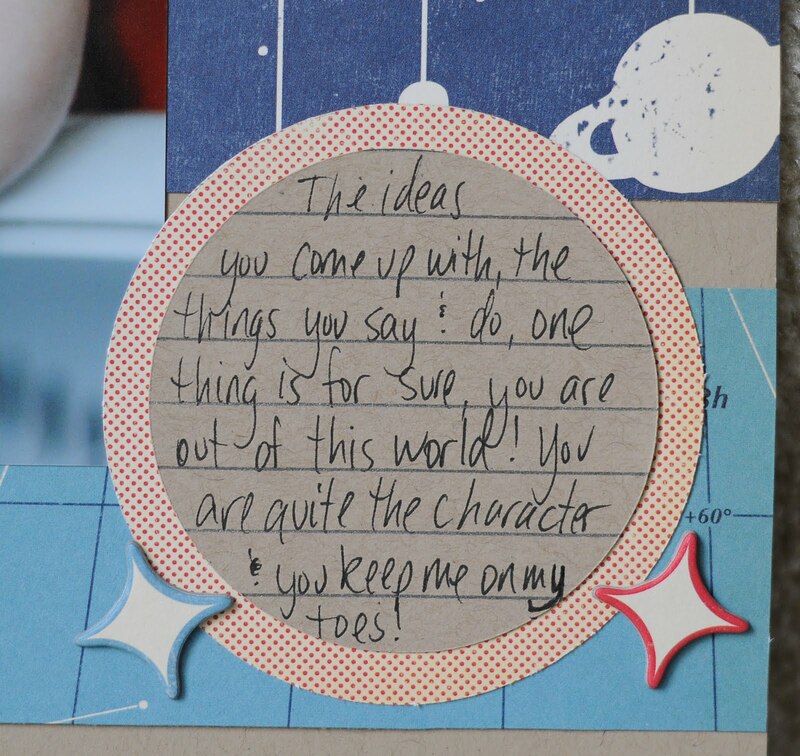 I just love the sweet sentiments for a feel good card for a friend! 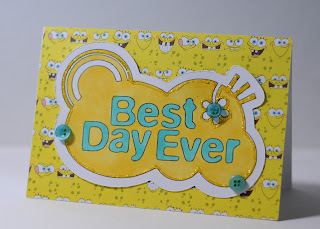 A friend of mine needed a quick card for her Spongebob loving son's birthday! I have the Spongebob cartridge, and the best day ever was on it, perfect for a kid's birthday! 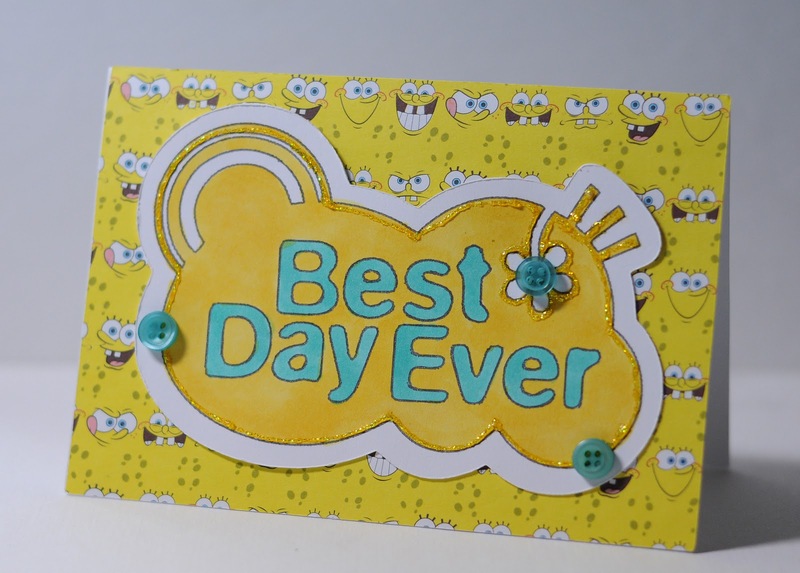 I used the Chomas Creations mini gel pen holder with DS and Spongebob to layer and draw the sentiment. Then I used the Copic markers (look no smearing!) to color it in! For a finishing touch I added some yellow Stickles as well. By putting the metal sheets colored side down and embossing them with the Chomas Creations embossing kit, then cutting them out with any old pair of scissors, you can then sand the raised image to make it POP! The papers and stickers on these are all Echo Park. I had a lot of fun with these frames, adding buttons and ribbon! 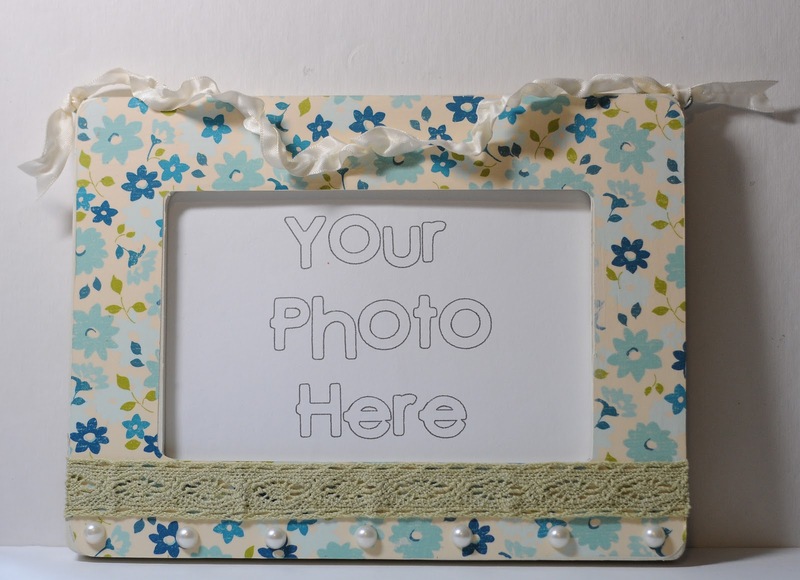 The sentiment on the inside of the frame was done with the Chomas Creations mini gel pen holder. 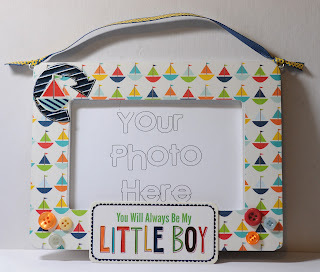 While I didn't use any of the Chomas Creations goodies on this frame, I really liked how it turned out and figured I would share this one as well! 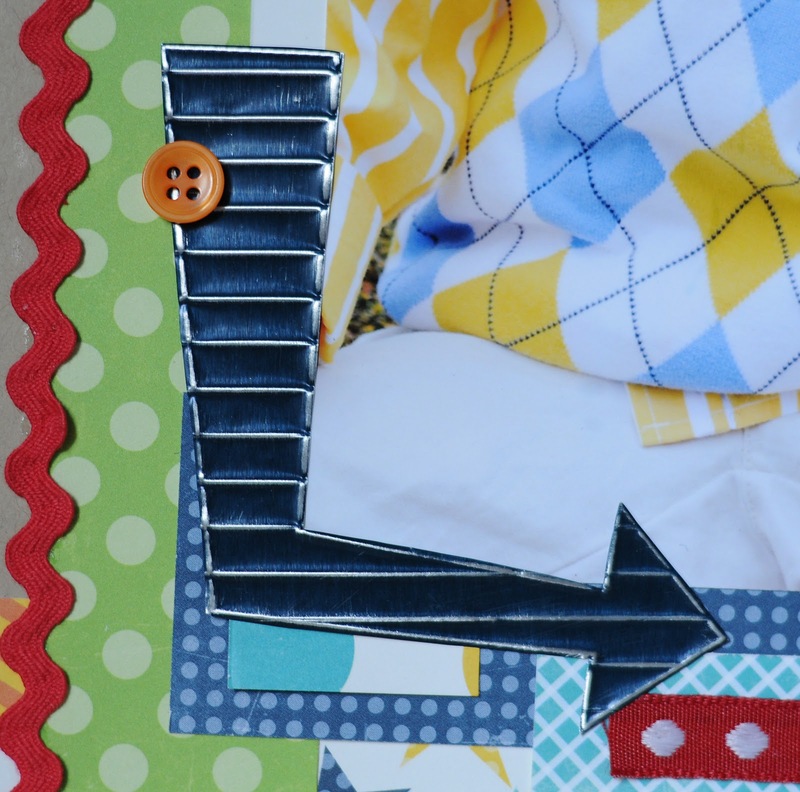 Ok, so sometimes I like how a card turns out so much I try using the inspiration for a layout! It is hard to come up with loads of ideas all the time, so why not??? 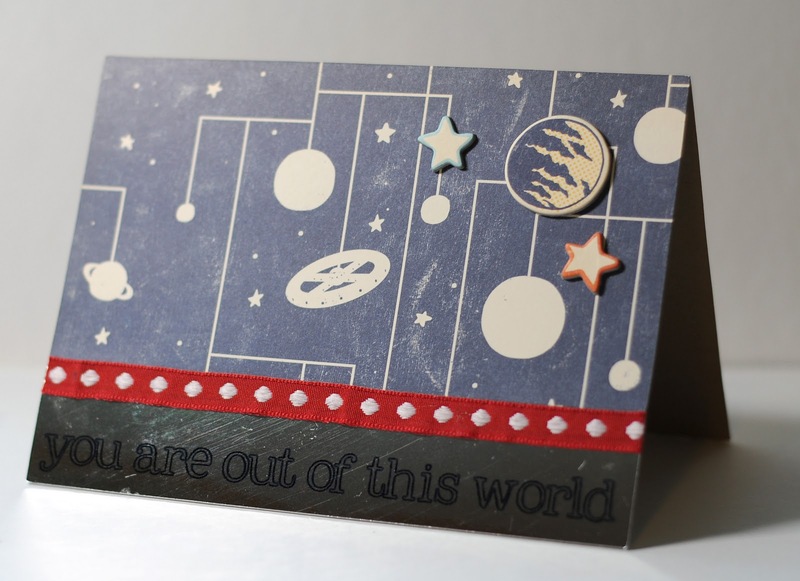 I used the DS file here... out of this world file to make a card (see post below), and then changed the file up a bit to make a 12x12 layout with it! The card file and the layout file are both in that same download. I used the adjustable marker holder to draw the title on Colorbok metallic sheets (I got 2 of them sized 12x12 at Target in the scrapbook aisle). All of the papers and chipboard stickers are October Afternoon, as is the super busy boy on the page hehe! 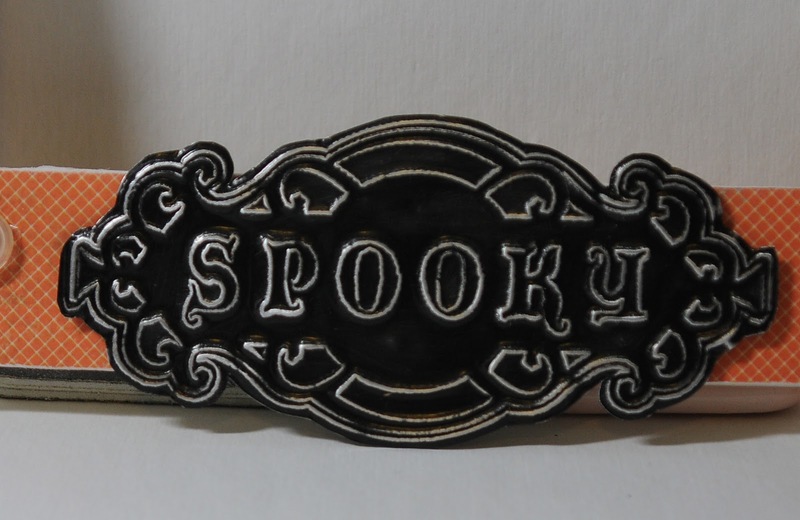 I used the adjustable marker holder for the title with Doodletype. I found this Colorbok metallic paper at Target for $1 for 2- 12x12 sheets! Pretty snazzy! The papers and chipboard stickers are all October Afternoon.